The LinkedIn job notice spotted by The Register reveals Apple is looking for an "Enterprise Strategic Partner Manager" for HPE, Dimension Data, and GE, based in London. 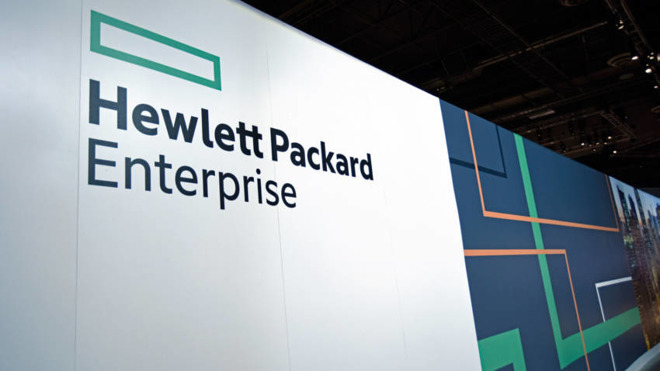 The job title's inclusion of HPE points to Hewlett Packard Enterprise joining the existing list of firms Apple works with for corporate services. The description for the role advises the candidate will work with global partners, as well as regional sales, channel marketing, and system engineering teams "both inside and outside Apple," with tasks including creating and executing sales plans, covering industries, and "other end-customer focus areas." The job also includes work in new business development, partner management and Apple's enterprise sales programs. While the advertisement mentions HPE, there has yet to be a confirmation of a partnership between the company and Apple. Even so, this would make HPE the latest in a string of partners Apple works with to help enterprise customers. Apple already has a working relationship with HP, the consumer-oriented business HPE separated from during the 2014 Hewlett-Packard split. Announced in February, HP expanded its "Device as a Service" program to include support, managed services, and analytics for Apple devices. An existing relationship with IBM since 2014 has enabled for iOS and apps built for the operating system to be used for enterprise solutions, among other projects. More recently, the partnership allowed enterprise customers to roll out in-app machine learning capabilities, combining Apple's Core ML technology with IBM's Watson. Apple also worked with Cisco, Aon, and Allianz to provide an enterprise cybersecurity insurance program, with Apple's hardware central to the program. Another partnership of Apple and SAP resulted in the creation of the SAP Cloud Platform SDK for iOS, to help developers connect apps to data stored on SAP's cloud storage services. A 2016 partnership with Deloitte aimed to change business workflows using a team of over 5,000 "strategic advisors." Under the same project, the firms commenced the "EnterpriseNext" program, one that allowed for the rapid prototyping of solutions, with the creation of native iOS apps that integrate with platforms already in use in a business.